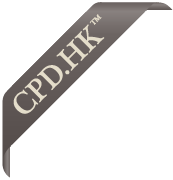 At The Profectional Company, we are grateful for all the positive feedbacks we have received from the past participants who have attended our CPD Courses, a motivation and encouragement to our success in delivering the best CPD training solution catering professionals in Hong Kong. "The content is informative and sufficient for the requirements." "The course is beneficial to all levels in the subject." "Best material seen for a long time!" presented the whole concept behind trademark law. Keep it going!" "Provided a good multi-jurisdictional overview." especially for non-practitioners of personal injury cases." which provided a helpful summary of the law." "Practical and useful. All content relevant and covered by speakers. very comprehensive course, very thought provoking." "Good course + good presentation! Thanks a lot to Danny." I would recommend this course to my colleagues and friends." - manages to give depth in a short space of time." covers a lot of territory in short time, very impressive!" lovely presenter and good materials." of the Mag. Court procedures." as there is no standardized materials on this topic." "The presentation was freiendly and energetic." "The content was very concise, clear and useful." "The content was very practical and academic."